The Apple Barn is a very historic structure. 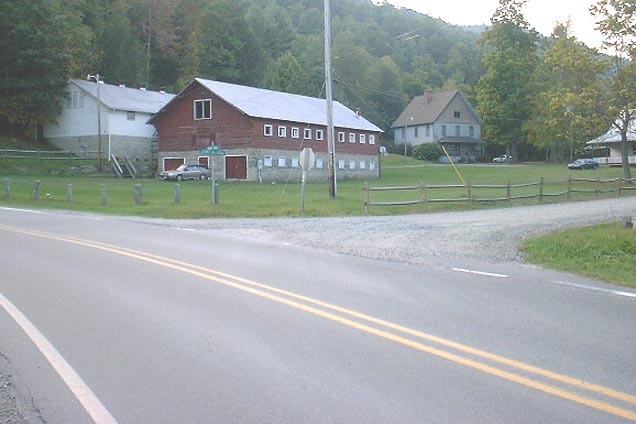 It was built around 1911 as the first dairy barn in the valley to have a concrete floor. 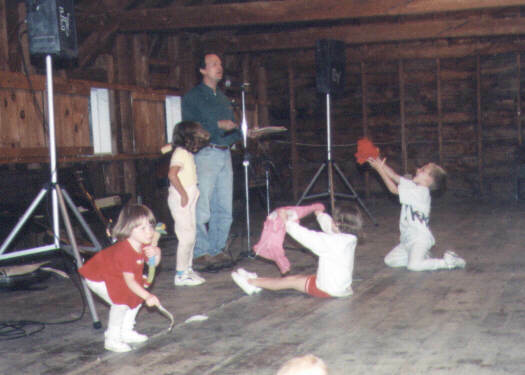 You are actually dancing in the hayloft. In the basement was the milking parlor as well as a cheese factory for the excess milk. There is a safe down there with 6 inch thick walls and ceiling made of cork where they could store the cheese and keep a constant temperature. They also used some of the excess milk in their tea shop on the property where they also made ice cream. 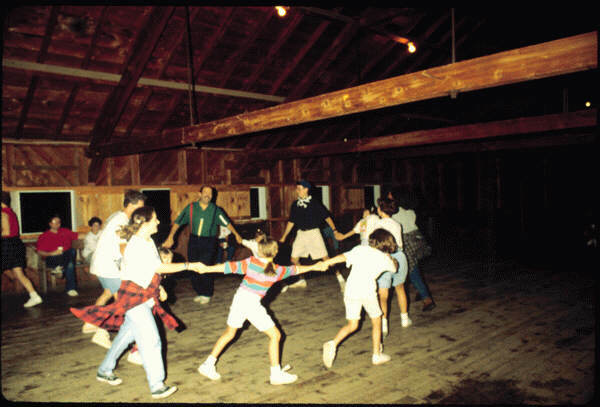 Now it is used for large meetings, Contra Dances, Square Dances, weddings and receptions and labyrinth walks.